Brenda: I am currently working with no plans to retire. But I will turn 65 soon, and am thinking about getting basic Medicare (Parts A and B), a Part D drug plan, and a letter G Medigap plan. My employer plan costs me $160 per month and I have to cover my copay and some hidden fees, as well as medications. My plan covers about 80 percent of vision, dental (preventative) and outpatient procedures as well as an annual mammogram, physical, TB and flu shots. I am given a $500 card each year to offset some of these out of pocket expenses. I take no medicine at this time — only antibiotics before dental appointments. My first question is, would you advise giving up my employer coverage and replacing it with Medicare A, B, D and G? As I see it, the money I save by doing this would cover all these premiums, which would mean all my possible medical expenses would be covered 100 percent. Is this thought process correct? 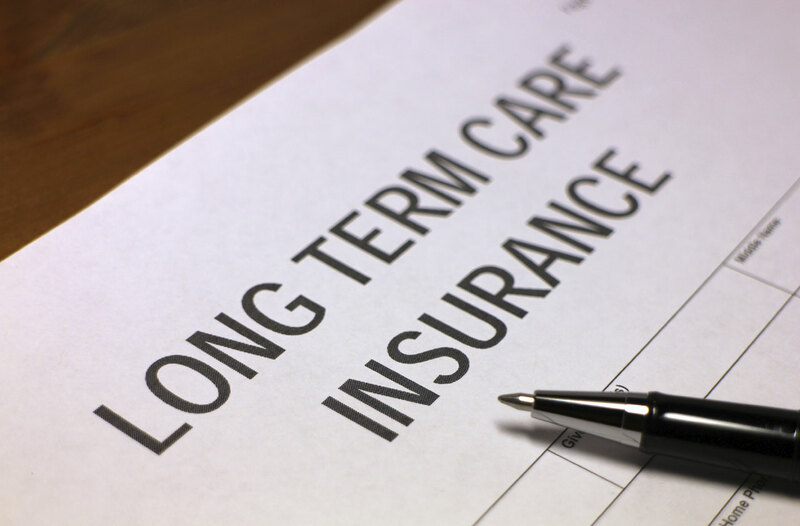 My second question is, I have had long-term care insurance for 14 years. I have not had occasion to use it, but just received a notice stating future projections require that my policy premiums will increase annually by $655, and that there could be future increases as well. This is a big blow as the insurance already costs $2,200 annually, which is not easy for me to cover. Would you advise dropping the coverage altogether considering the Medicare coverage I will have, and if not, could your direct me to reputable companies I can look into for less costly coverage? Phil Moeller: Brenda is asking all the right questions here, and I know they are the same questions that many other readers have. My estimates of Brenda’s Medicare premiums differ a bit from hers, and I think she might be better off keeping her employer plan and not getting Medicare. But as I recently wrote, this can be a close call, and it makes a lot of sense to do the kind of careful comparison that Brenda is undertaking. In Brenda’s case, Part B of Medicare will cost her at least $134 a month, has an annual deductible, and pays only 80 percent of covered expenses. Part G, which will cover unpaid Part B expenses, will set her back roughly $100-$175 a month, depending on where she lives. Part D plans aren’t free, either, and even though monthly premiums average only about $40, annual out-of-pocket maximum spending can reach $6,000 or even more. While Brenda does not take prescription drugs now, I try to hammer home to people that health insurance is not for the “present” you but the “future” you. Nearly all of us will face higher prescription drug and other health expenses as we age. As for long-term care insurance, I wouldn’t drop it. Medicare DOES NOT pay for long-term term care. I don’t know the terms of her current policy, but I’m afraid the price she mentions does not seem unreasonable for an individual policy. Long-term care costs can be very, very high. I suggest Brenda contact her current LTC carrier and see if it offers cheaper policies, and decide whether they still provide meaningful protection. Trying to find a cheaper policy may be difficult, as any new insurer would price her at her current age, and might charge even more than your present carrier. I’d also reach out to an insurance broker or two, ask them to shop for a new policy, and see what’s out there. Dan: I pay late-enrollment penalties that add 30 percent more to my Medicare premiums for the rest of my life. The only reason I signed up late is that I was still covered by my employer health policy. Is there any way out of this? Such a permanent fine for lateness is beyond harsh. Phil Moeller: Employers with more than 20 employees are supposed to continue offering group health insurance to active employees even after the employees have turned 65. In this event, you should not face any enrollment penalties when you later enroll in Medicare. Retiree health insurance, however, does not count as active group coverage. So, if you had this type of coverage, you would be subject to late-enrollment penalties even though you had employer health insurance. COBRA doesn’t count as active employer insurance, either. READ MORE: Does Medicare make sense for seniors with employer health coverage? If you think you had active employer group health insurance, and thus are being unfairly charged with late-enrollment penalties, your former employer should be able to confirm this. Here is the form the employer should complete. If you get a completed form, go to your local Social Security office, and formally appeal the penalty. Be patient! Social Security offices are overwhelmed with demand and waits can be long. That situation, of course, is beyond harsh as well. But don’t be surprised. Derek – N.Y.: My mother is a retiree and she gets less than $700 a month for Social Security and less than $700 for her pension plan. She has Medicare, is a cancer survivor, and is battling disabilities. At 83, she needs assistance with keeping up her apartment, cleaning, shopping and laundry. I was told she is not eligible to receive home health care unless she gives up her pension and Social Security benefits and becomes a state welfare patient. This is very scary for all of us that work and look to retire. What can I do to help my mother? Phil Moeller: My heart goes out to Derek and his mother. She is facing the reality and limitations of Medicare, and there are no easy solutions here. Medicare, unfortunately, does not cover so-called “custodial care,” which is what she needs. It seems to me that the advice Derek received was based on the assumption that his mother would need to apply for Medicaid to be eligible to receive insurance payments to cover the kind of in-home care she needs. Qualifying for Medicaid, in turn, could require her to spend down her assets. This may be true, but he needs to do some homework to understand New York’s financial requirements for Medicaid eligibility. Also, he might be able to afford paying for some in-home care out of his own pocket. This is hardly a great solution but could be the best practical choice. The State Health Insurance Assistance Program (SHIP) provides free consumer counseling. Perhaps they can help with Medicaid eligibility questions, including what might happen to his mother’s current retirement income. Tony – La. : My wife retires this month. We both have employer health care. She has enrolled for Medicare Part B and will remain on my plan. Which one of us would possibly benefit having supplemental insurance? Phil Moeller: I am assuming here that Medicare would be secondary to your wife’s employer coverage. I don’t know enough about your plan to know how helpful it might be in that role. But it would only apply to her health claims, not yours. However, any benefits certainly would flow to your household. and if you have a high deductible plan, Medicare would help pay that deductible for her covered claims. Once the overall deductible was met, of course, you would wind up paying less for your own health care. Rudolf: I will reach full retirement age soon. I am working full-time and do not intend to apply for Social Security benefits in the immediate future. I know that my benefits will be based on my 35 highest years of wage earnings, but I wondered if my future wages will affect my benefits? Phil Moeller: Your 35-year record is never final. So long as you continue to have wage income on which you pay Social Security payroll taxes, Social Security will evaluate whether each new year’s earnings represent a new top-35 year or not. Any benefit increases then will be retroactively awarded. Dan – Calif.: I retired from teaching at a community college and will be turning 65 next month. The school keeps me on its group insurance plan until I turn 65. After that, I can pay a monthly premium to stay on the school’s group insurance plan or choose different insurance options not connected with the school. If I stay on with the school’s group insurance, do I also need to pay Medicare Part B? The group plan covers everything I had when I was working full time. Phil Moeller: Most retiree health plans require Medicare when a person turns 65. At that time, Medicare becomes the primary insurer and the plan becomes the secondary insurer. I’d confirm this with the plan. If that’s the case, then you should look at what the plan charges and compare this with what it would cost you to get other Medicare policies beyond Part B. For example, retiree plans normally fill the secondary insurance role that Medicare supplement plans fill with basic Medicare (Parts A and B). You can use Medicare’s Medigap plan finder to find out what such plans would cost, and compare this to the employer plan. Lastly, you need to find out how the employer plan handles prescription drugs, and whether or not you also would need a separate Medicare Part D plan or not.